A few months ago, I talked about repairing one of my purses in an effort to avoid contributing to our throw away culture any more than I have to. I actually sat down with it today and got some work done on it. While zipping the pieces through my machine didn’t take more than a few seconds, I did actually hand sew the zippers into place. 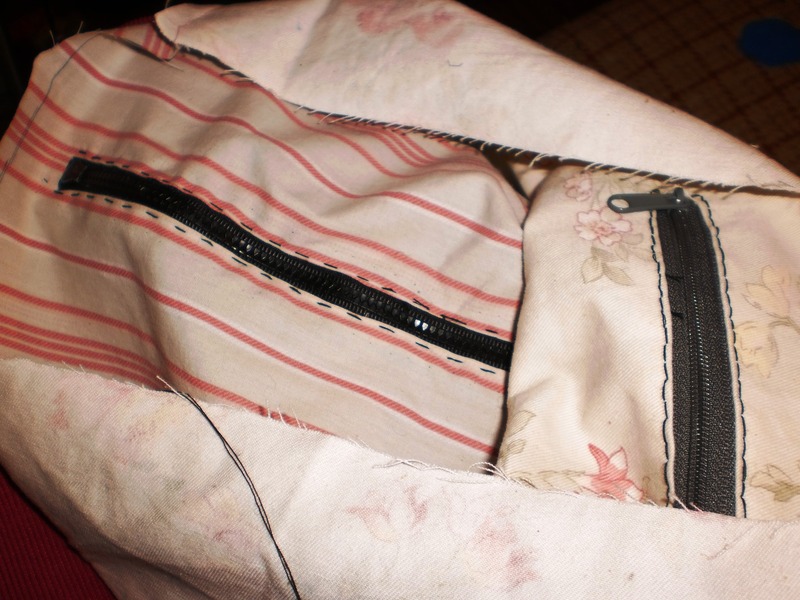 I always sew in zippers by hand, as it’s too easy to accidentally break a needle on the teeth. The new lining itself is now ready to actually be inserted into the purse. That will be a project for later in the week. Ever since I first saw him walk through a crowded 3T show dressed as the Trickster Crow, I have loved Matthew Schultz’s work. The man is brilliant! You can find more information about the ‘The History of the Division’ exhibit at the James S. Murray Gallery at Lincoln Land Community College here.